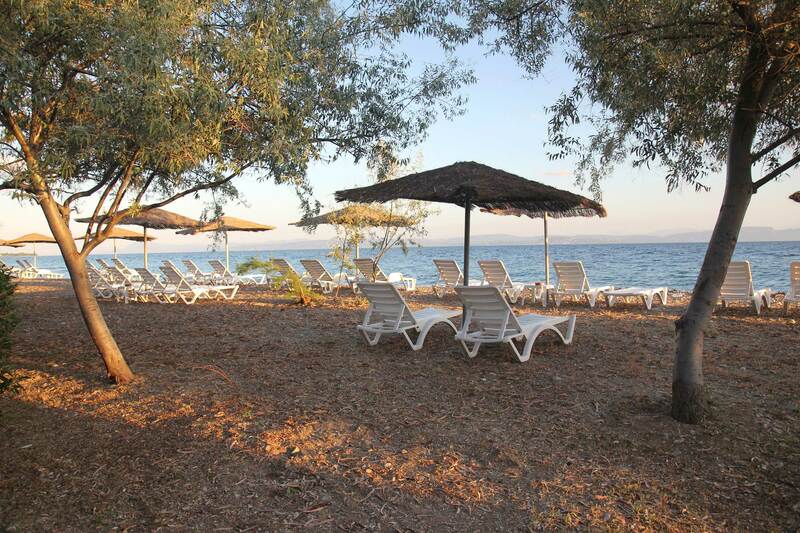 Katerina's Hotel is a family-run complex ideally located in front of the sea in north part of Evia island. Self-catering rooms with 2, 4 and 5 beds, all with private entrances and balconies, are well suited for groups, families or leisure travelers. Just 2:30 hours’ driving from Athens airport and 5 minutes walk distance from Rovies village, Katerina's Hotel offers the luxury of complete privacy within easy access of every hotel service and entertainment options. Romantic and affordable, the copmplex is designed as a private paradise in a peaceful location in front of safe and calm sea waters. Surrounded by trees and with close proximity to several other beaches, restaurants and shops, has everything you need for a comfortable stay. With a lot of repeaters and its family oriented environment, Katerina's Hotel awaits to be explored and enjoyed. It's a place where you can free yourself and enjoy your moments by the sea. Discover it and get an unforgettable experience. Check the offers and book now ! Early check-ins or late check-outs cannot be guaranteed. However, you can store luggage and enjoy the facilities until your room becomes available. Katerina's Hotel & Bungalows S.A.